Bridge Street Live is happy to welcome back to our stage the incomparable CHRISTINE OHLMAN & REBEL MONTEZ with special guests, Americana duo Lovelace/Lesiw, on Saturday, May 25th at 8PM! 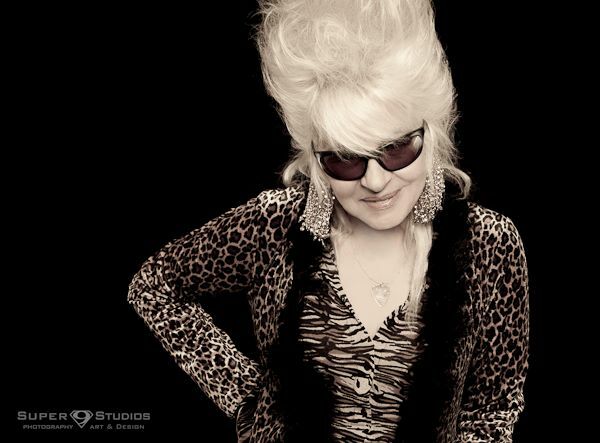 CHRISTINE OHLMAN, the queen of blue-eyed rock n' soul, grew up loving both the sweetness of a Memphis horn line and the raunch of an electric guitar riff, so she teased her blonde hair into a beehive (in honor of Ronnie Spector) and never looked back, picking up a guitar and forging a career as a songwriter in the process. Her most recent CD I(of six), “The Deep End”, was honored on numerous end-of-year Top Ten lists. Deeply embedded in the scenes in New Orleans and Muscle Shoals, Ohlman tours relentlessly, torching clubs up and down the Eastern Seaboard, and is the gold standard of guest vocalists, having sung with everyone from Al Green to Big Al Anderson to Steve Miller and Bonnie Raitt. She is the current, long-time vocalist with the Saturday Night Live Band, and was featured with the B-52's during the recent SNL 40th Anniversary post-show concert. Her shows with James Montgomery have become legendary for the spark between these two great performers. Opening the show is Americana duo Lee-Ann Lovelace and George Lesiw. Tickets are $18 for General Admission and $25 for VIP Reserved (+ fees).